Citing a need to maintain high levels of accountability, Gov. Butch Otter vetoed an education bill Monday as the 2018 legislative session draws to a close. And, once again, Idaho’s K-3, statewide reading test found itself at the center of a political debate. In a Monday letter to House Speaker Scott Bedke, Otter explained his veto of House Bill 501, which would have removed the Idaho Reading Indicator from a list of tools that can be used for measuring student achievement and growth — and determining teacher pay raises. Otter said the Legislature’s $250 million investment in state funding for teacher raises must be paired with strong accountability measures. This was Otter’s first veto of the 2018 session. Legislators wrapped up their business for the year Thursday. HB 501’s supporters said the IRI, which is set to be replaced by a new test that was piloted this year, is a “screener” test used to diagnose reading problems in young students. Including it as a factor in teacher raises would have been inappropriate, they said. HB 501 passed the House by an overwhelming 66-1 margin on March 1, and passed the Senate 24-9 on March 16. Both houses will reconvene Tuesday — and they have the option of overriding Otter’s veto, with a two-thirds vote. It was unclear late Monday if any such effort was in the works. Even though the session has largely wrapped up, legislators are working through new adjournment procedures this year. They shipped all bills to Otter’s desk Thursday, and have decided to stay in town until the governor acts on every bill. This leaves open the option of a veto override. This marks the second time in recent weeks that the IRI has become the center of political debate. On March 16, the House killed Superintendent of Public Instruction Sherri Ybarra’s office budget, because the budget did not include money for a new statewide reading test. The Legislature later passed a bill funding the statewide test, and Otter signed this bill Friday. The entire debate over reading tests is important because it cuts to the core of how the state identifies struggling young readers, and then invests resources in helping those students hit grade-level reading benchmarks. House Bill 443, which would encourage schools to provide gun safety classes. House Bill 620, which would prohibit public officials and agencies from using taxpayer resources to campaign for or against a ballot measure or candidate. House Bill 626, which would require ballot language that outlines the taxpayer cost of a proposed bond issue. House Bill 634, which would provide baseline suicide prevention training for school employees. House Bill 669, a 2018-19 budget for the STEM Action Center. House Bill 672, a spending bill for the State Board of Education. This bill includes $250,000 for a consultant’s study to examine potential cost savings in the state’s higher education system — an offshoot of Otter’s failed higher education “CEO” proposal. House Bill 686, another State Board budget, including a $3.5 million funding increase for the Idaho Opportunity Scholarship. Senate Bill 1357, the 2018-19 career-technical education budget. Senate Bill 1359, the 2018-19 budget for Idaho’s four community colleges. 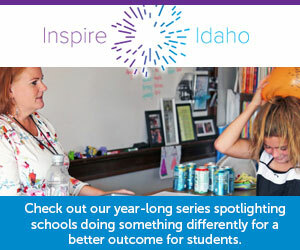 Idaho Education News reporter Kevin Richert contributed to this report.